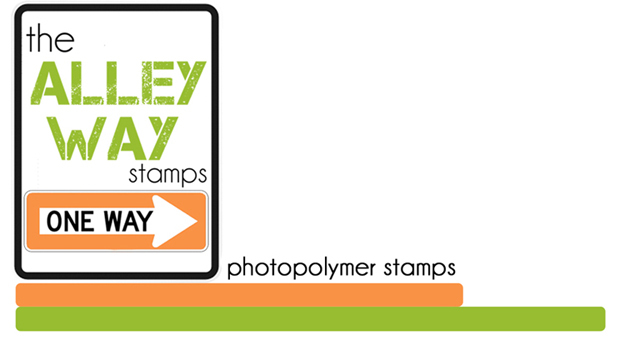 The Alley Way Stamps: today is freebie day! Did someone say FREEBIE!!!.....YES! I did.. 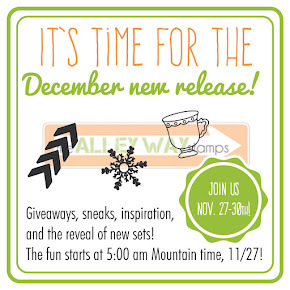 So the first Wednesday of each month we are going to have a freebie here at The Alley Way Stamps. Now this will be either a shaped card template, digital stamp and sentiment or both.. these will be available here on the blog and be placed under the freebies section! :) So today is one of those freebie day's. I hope you are enjoying the Grand Opening of TAWS! Leave a comment here telling me your favorite thing to eat/drink while crafting. 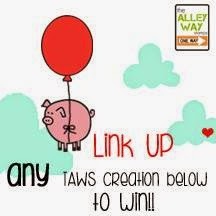 One lucky winner will be randomly chosen to receive a stamp set from TAWS..
Oh and if you haven't done it already.. Very cute! My favorite things to snack on are water (in case I spill since I'm a clutz) and fruity candies. Thanks for the Cute Freebie......And my favourite Thing To Drink while Crafting has to be Tea..Though I have to be Very Careful with it!!! Very cute! Personally, I go wide on what I eat and drink- sodas, "malted beverages" (bottled mojitos, hard lemonade...), water, and generally a fruity candy though sometimes something chocolate. Blasted sweet tooth! Oh, what adorable projects! I like to drink a Diet Dr. Pepper or have coffee while crafting. Thank you for the cute freebie, and to answer your question, anything chocolate, but drinks are off-limits in my tiny cramped craft room. i'm not a big eater while i craft. but i love to have a dr pepper next to me while i craft! i don't know why, but it helps me think when i take a drink! thanks so much for the chance to win! The "onesie" is so adorable. I don't eat when I craft. I don't want to get smudges or fingerprints on my things. However I keep a Diet Cherry Pepsi in a safe place to drink. Thanks for the chance to win!!! Thanks for this wonderful onesie! Chocolate - need I say more? Thanks for the chance to win! 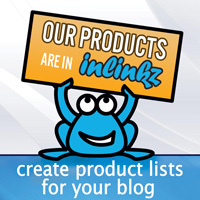 Great site and thanks for the freebies! I'm with Jennifer - chocolate is a good thing to have close by or if I get a little cold in the winter a cup of hot chai tea or in the summer a can of diet mountain dew. Thank you for the onesie template. New grandson suppose to arrive in the next week or so. I don't typically eat or drink when crafting, although I have been known to snitch a piece of saved chocolate from holidays. I have to hide it from the kids or it's gone in a flash! Thanks for the cute freebies! I can't wait to see all you can do! Thank you for the lovely digi's!! Thanks for the freebies today. Your so kind. My favorite thing to eat when crafting has got to be plain Lays Chips and gotta have some diet pepsi. Can't have one without the other. Lol. Thanks for the chance to win. Hugs. The freebies are adorable! I have several baby cards to make, so perfect timing. I adore the onsie, but those coloured rolling pins rock! I always have a cup of coffee. When I craft at home, I don't nibble, but at retreats, I have a lolly jar to share - usually with jellies, or soft squishy lollies that won't goo the fingers! I so love delving into a bowl of Smarties or M&Ms, but sometimes there's colour transfer! And you can NEVER go past chocolate. Alison, these are awesome! The onesie, ladybug and sentiment are especially adorable. When I'm stamping I'm usually craving something sweet and messy but settle for some cookies and milk. Love the new site/store. Thanks for the onsie template. I'm looking forward to seeing what else you come up with. So so cute! I look forward to snagging that freebie! Thank you! I love to eat m & m's and have a Dr. Pepper while o get craft! THANKS for sharing some freebies!! I enjoy eating just about ANYTHING while working (even though I know I shouldn't!!). Diet Coke & Oreo cookies. Not a healthy snack but they're my fave. Thanks for the freebies. I usually don't eat while I'm crafting, because I will spill it on my project. I do like to have some of my homemade salsa & chips for a snack. Thank you so much for the sweet onesie, ladybug, and word art! As for my favorite thing to eat or drink when I'm crafting, nothing really. When I'm crafting, I'm focused on what I'm creating and I don't feel hungry or thirsty. Thank you for the darling freebies. I usually drink water while crafting. I try not to eat while crafting but I love nuts and chocolate. Thanks for the freebie and cute card! my favorite thing to eat while crafting is NOTHING it is my only way to diet....I get so engrossed in crafting that I forget to eat. Thanks for the freebie. I don't eat or drink when I'm crafting. I'm such a klutz, so I've learned to keep food or drink out of the craft room. I don't eat or drink while crafting cause I have usually spill something on my almost finished project. I just cannot eat and craft at the same time...I would leave messy fingerprints everywhere!!! the onesie is adorable! i don't generally eat/drink when i craft, but occasionally i will have some ice cold chocolate soy milk...yumm!! Thanks so much for the adorable freebies! My fav drink is diet cola and anything chocolate for the food I eat while crafting. Mt Dew or sweet tea and tropical mike and ikes. Cute freebie. TFS. I never eat while making my cards so to not have any spill or finger prints on my cards...lol. Very cute cards! thank you for the freebie. Love that little rolling pin..so cute! Loved the freebie - thank you. I try not to eat while crafting. 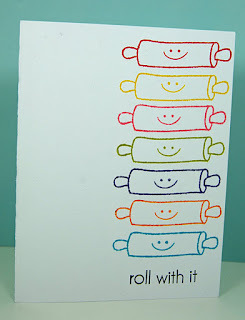 This rolling pin card is a hoot! Love it. I like to drink Diet Coke and eat a bit of dark chocolate when I craft. Thanks so much for the adorable freebies! 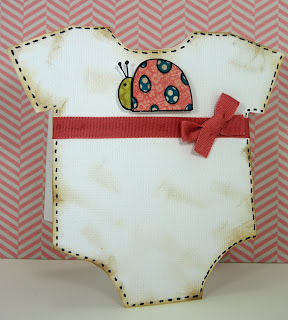 I can't wait to create a card with the onesie - my dear friend has a baby on the way! When I am stamping, I love to sip on a hot cup of Earl Grey tea :) Thanks for a chance to win!